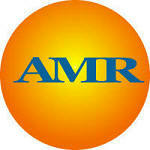 AMR produces custom tuckpoint mortars for pointing brickwork. These bags of pointing mortar are ready to use and made for repairing mortar cracks. Our ready mix mortar for pointing is custom made for your tuckpointing repairs. How we are able to produce ready mix mortar specific to your brick pointing project is through analyzing a sample of your existing mortar and matching its composition formula and ratio, and then custom matching mortar color to the sample of existing mortar using the base composition formula of your mortar as a guide. This allows us to match your existing mortar exactly and create a recipe for making your bags of ready mix mortar where there is no need for adjustment and make our bags of mortar ready to use. During testing of your sample of mortar, the original sand is recovered and a sample is sent back to you for matching the sand for your bags of ready mix mortar. The bags of ready mix mortar for pointing brickwork contain the precise mortar mixture and pigments in their proper ratio for matching your brick pointing mortar. You will need to add your local sand in the proportion determined in our test per bag of our ready to use pointing mortar and water and you are ready to begin mixing mortar and repointing brick mortar joints and repairing cracks. The bags of ready mix mortar are one gallon each and made specifically for pointing brick mortar. This size package allows you to make a small amount of brick pointing mortar as you need it without the risks of changing the formula trying to use part of a larger bag of brick mortar mix. Ready mix mortars are shipped two bags per box using the postal service. Shipping time is about 2-3 days for our ready to use pointing mortars. Ready Mix Tuckpointing Mortar Mixes are available in custom products or as general mortar types or colored brick mortar. Below is a list of some of the tuckpointing mortar type available. For ordering mortar analysis/color matching and custom bags of ready mix mortar for tuckpointing click buy ready mix mortar bags.